Beware! In Data Protection Compliance – THE PRIVACY NOTICE IS NOT EVERYTHING. 08 Jun Beware! 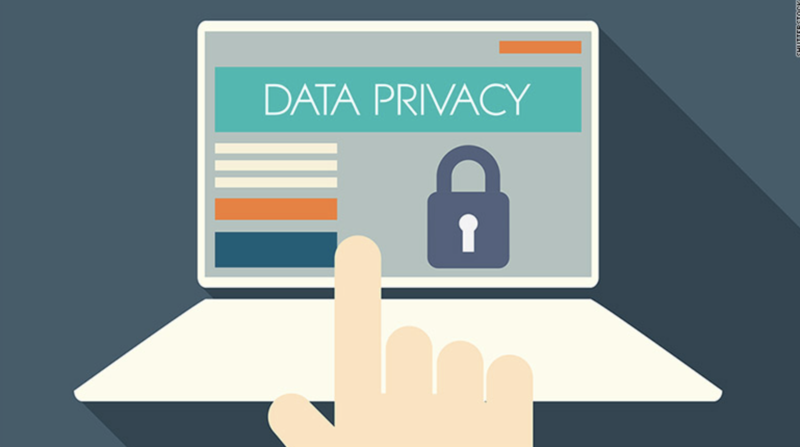 In Data Protection Compliance – THE PRIVACY NOTICE IS NOT EVERYTHING. Nowadays in México, corporations tend to think that by developing a privacy notice they are in compliance with the whole framework of data privacy laws in México. This is both wrong and delicate, since such considerations lead often to noncompliance and possible penalties. It is important to highlight that the privacy notice is simply the result of a complex process within the organization. Prepare privacy policies and programs that are binding and enforceable within the organization of the data controller. The data controller is bound by law to issue and implement management and security policies that contribute to the achievement of the stated objectives. In the aforementioned policy, comprehensive guidelines shall be established in order to completely fulfill the principles found in the law and, between other things, the penalties for non-compliance. Implement a program of training, updating, and raising the awareness of personnel about obligations in matters of protection of personal data. c) Education: long term programs that pursue the goal of including security issues regarding the processing of personal data within the values and culture of the organization. In order to identify the level and type of training needed for the personnel, a diagnosis of the requirements for each company shall be carried out, taking into account the assigned responsibilities and the job profile of the employees, especially of those involved in the processing of personal data. III. Establish an internal supervision and monitoring system, as well as external inspections or audits to verify compliance with privacy policies. The Federal Law on Protection of Personal Data Held by Private Parties (hereafter referred to as FLPPPHPP) orders data controllers to count with an area in charge of privacy and personal data protection. One of the functions of said area shall be the supervision of compliance, both of laws and privacy policies, in the corporation, which can be conducted with the support of external consultants. To identify in an early stage any changes in the reach and objectives of the measures to guarantee the proper processing of personal data and in order to keep an overall perspective of security risks, companies shall monitor and review such hazards with their related factors, namely the value of the assets, the threats, vulnerabilities, the impact and the probability of occurrence. Dedicate resources for the implementation of privacy programs and policies. Companies, within the allocation of budget and resources, shall consider the privacy and data protection area in accordance with the size of the organization. Implement a procedure to deal with the risk to the protection of personal data by the implementation of new products, services, technologies and business models, as well as to mitigate them. Risk analysis in the processing of data and the implementation of procedures to reduce said risks. Periodically review the security policies and programs to determine modifications required. One of the functions of the Chief Privacy Officer (CPO) or data processor in charge of the area of compliance in personal data matters is to carry out and schedule periodical audits to verify that inside the organization the personal data protection policies are met. VII. Establish procedures to receive and respond the questions and complaints of data subjects. The area responsible of compliance shall create an internal communication channel to receive queries regarding the reach of the processing of personal data. This communication channel will in turn be able to transfer such queries to external consultants and professionals in the field or even deal with them itself in order to provide answers. VIII. Have mechanisms to comply with privacy policies and programs, as well as sanctions for a breach thereof. The policies shall set penalties to those who, having previosluy received training and knowledge about risks in the processing of personal data, consciously breach it (e.g. through official reports or warnings that may lead to a job loss). Establish measures to protect personal data, in other words, a group of technical and administrative actions that will allow the data controller to ensure compliance with the principles and obligations established by the Law and these Regulations. It is essential to count with appropriate security measures to avoid possible breaches of the personal data safeguarded by the data controller. Establish measures to trace personal data. Other functions of the Chief Privacy Officer (CPO) or data processor in charge of the area of compliance in personal data matters is to develop an inventory of personal data in order to provide insight regarding the flow of information within the company. Current legislation contemplates considerable fines and penalties for those who violate the FLPPPHPP and its Regulation. Warning notice for the data controller derived from the failure to satisfy the data owner’s request for personal data access, rectification, cancellation or objection, without well-founded reason. Fines from $7,010.00 (seven thousand and ten Mexican Pesos) $44,864,000.00 (forty four million eight hundred and sixty four thousand Mexican Pesos). III. From six months to five years in prison to those who, in order to obtain unlawful profit, process data through fraud, taking advantage of an error committed by the data owner or the individual authorized to process data. In conclusion, it is important that companies receive counsel from specialists in data privacy and data protection matters, since any failure to comply with the law may entail penalties, considerable damage to the corporation’s reputation and even bankruptcy.